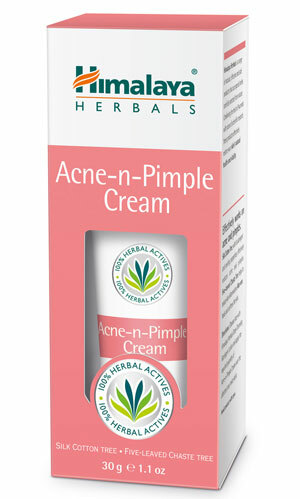 Himalaya Herbals Acne-n-Pimple Cream contains Aloe Vera which heals and softens skin. Silk Cotton Tree, with its astringent and cooling properties, controls acne and pimples and prevents future breakouts. Five-leaved Chaste Tree reduces skin inflammation. Cleanse face with Himalaya Herbals Purifying Neem Face Wash, and follow with Himalaya Herbals Purifying Neem Cleansing Astringent Toner. Apply the required quantity of Himalaya Herbals Acne-n-Pimple Cream over the affected area twice daily.